Historian and Attorney Challenges Supreme Court Fact-Finding in the Case of Leader of 1993 Lucasville Uprising Sentenced to Death. 3. contains disputed material facts that go to the guilt or innocence of George Skatzes with respect to all three murders for which he was convicted. "On the evening before the riot, April 10, high-ranking members of the Aryan Brotherhood, including Jason Robb, Dewey Bocook, and Freddie Snyder, and the Muslims, including Sanders and James Were, met in the L block gym. Upon seeing this, inmate Robert Brookover knew 'there was something going on.' Robb told fellow Aryan Brotherhood member Roger Snodgrass to 'be on our toes tomorrow'." Similarly, the Opinion says nothing about the fact that when Skatzes heard that Officer Ratcliff had been beaten by inmates, Skatzes came and got Ratcliff and took him to L2 also. Tr. at 5995A, 5999A-6000A. Skatzes removed the blindfold and some red tape from Ratcliff's eyes, took water, cotton balls and towels, and cleaned away a red substance that was burning Ratcliff's eyes. Tr. at 5145-46, 5199. Ratcliff testified, "[I]f he wouldn't have come and got me, I probably wouldn't be here, I would probably be dead." Tr. at 6000A. Judge Mitchell surmised that the reason Skatzes was not sentenced to death for the aggravated murder of Officer Vallandingham was because of Officer Ratcliff's testimony. Opinion of the Trial Court at 5. Snodgrass himself testified that Elder was still alive and moaning when Snodgrass came out of Elder's cell. Tr. at 4395, 4590-91. The fatal stabbing attack occurred afterwards. Tr. at 3076-77, 4550-51, 4590. Of course, if Skatzes had anything to do with that later attack he would still be complicit in Elder's murder. But he did not. The Opinion asserts that when Roper told Snodgrass that Elder was still alive, Skatzes told Snodgrass that he (Skatzes) would "take care of it." Opinion at Paragraph 137. This is untrue. According to the Court's version of events, at some point during the siege Skatzes and Robb ordered a crew of inmates to make a hole in a back wall of L7. They planned to kill a C.O. and dangle his body out of the back of L7 where it could be seen from the front of the SOCF by members of the media. The Court's narrative describes a meeting on April 14 at which, "[a]ccording to Lavelle, a vote was taken to kill a guard if their demands were not met." Skatzes is said to have attended the meeting and not to have spoken against the decision. 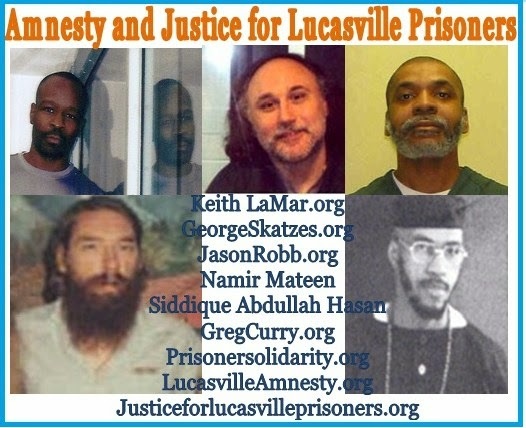 Support Site for George Skatzes, who is on Death Row in Ohio on a wrongful conviction following the 1993 Lucasville (SOCF) prison disturbance. 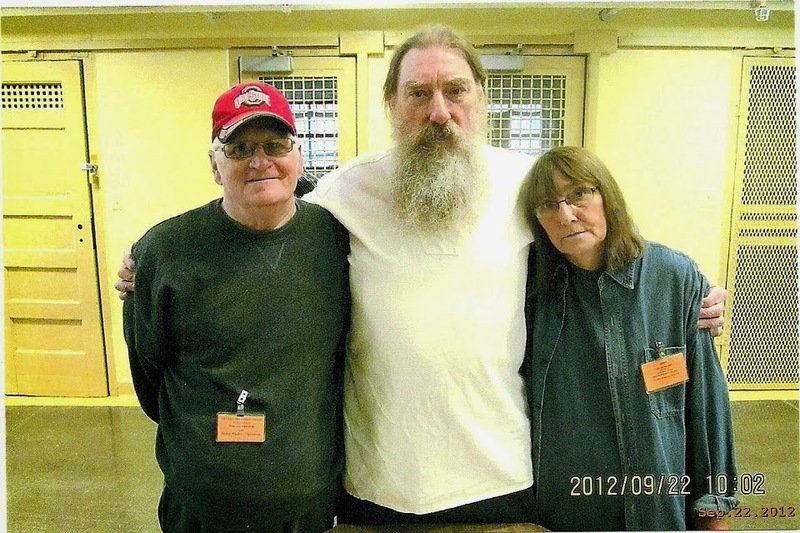 George was in prison for a wrongful conviction since 1982, when he received a Life sentence. George is innocent, he needs your support! George Skatzes. Awesome Inc. theme. Powered by Blogger.